SELL BETTER WITH SEMG. OUR LOCAL RELATIONSHIPS, KNOWLEDGE AND EXPERIENCE INCREASE YOUR RETURN ON INVESTMENT. Beyond getting the right purchase price, it’s about enhancing marketability through effective property management; and then it’s about selling one’s own deals. Proper management and our own property management process assures our clients that we know what the best price for the property will be. Selling our own deals assures us that the best selling price will be achieved. Our real estate agents and Certified Property Managers know how to buy right, sell better, and perform best … that pretty much says it all. Use the talented and experienced team of real estate agents to sell your commercial or residential investment properties with confidence. Our property management process and knowledge of the Charleston area help give you the best options and increase your return on investment. Come learn a little about the people here at SEMG that would love to work for you. 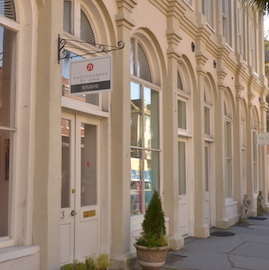 Visit us at 151 King Street in downtown Charleston, SC, call us at 843-577-8595 or contact us online.